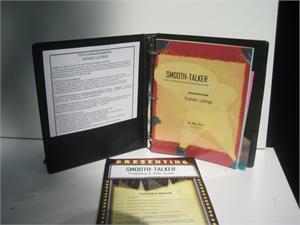 Business Sales-assistants and Telemarketer scripts for prospecting for the sale of PRODUCTS. Hire a Sales-assistant or a Telemarketer to get more appointments and increase your sales. It has the right words that a Sales-assistant or Telemarketer needs to obtain new prospective customers. The Green pages of the scripts will insure that your sales-assistant has the right things to say to ask for an appointment, talk about money issues, or build a relationship. They'll be able to respond to objections from prospects in the Red pages. The red page scripts have 24 pages of the most often heard objections. Over 140 "1-liners." The Yellow pages contain the traditional "selling" dialogue. There are many places to personalize the scripts to tell the prospect more about you, your product, and company.